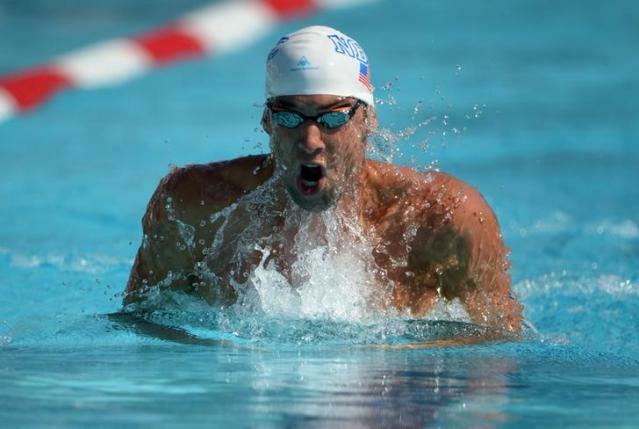 ARIZONA – Michael Phelps will return to competition next week in Arizona after serving a six-month suspension following a drunken-driving conviction, USA Swimming said on Tuesday. Phelps will be joined by Olympic gold medalists and world-record holders Katie Ledecky and Ryan Lochte at the April 15-18 Arena Pro Swim Series at Mesa. “My suspension is finally up! Time to get back in the pool and race again! Looking forward to #mesa ! !” Phelps, the most decorated Olympian of all time, said on Twitter. It was at Mesa in 2014 where Phelps returned to competition after his two-year retirement. His latest absence from the sport, however, was enforced when he was arrested last September after speeding, crossing the double-lane lines inside a Baltimore tunnel and subsequently failing a Breathalyzer test. Phelps, 29, checked into a rehab facility following the arrest and is still serving 18 months of probation. As part of the sanction from USA Swimming, Phelps was also told he would be not be able to represent the United States at the August world championships or July Pan-American Games.